A multi-disciplinary journey through our wondrous and contested environment. Pursued by the RCMP, Floyd has to get out of town fast. Heading through the Rockies for the Pacific, through the forests and along the rivers, he experiences changes – inside and out. Floyd’s journey is assisted by the wildlife he encounters – especially the bears. 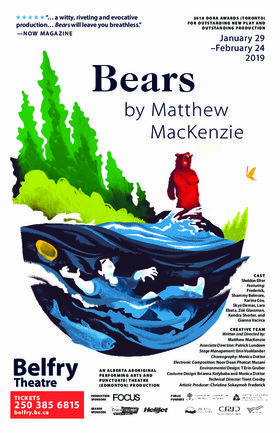 Bears won two Elizabeth Sterling Haynes Awards in Edmonton for Outstanding Musical Score and Outstanding Choreography. 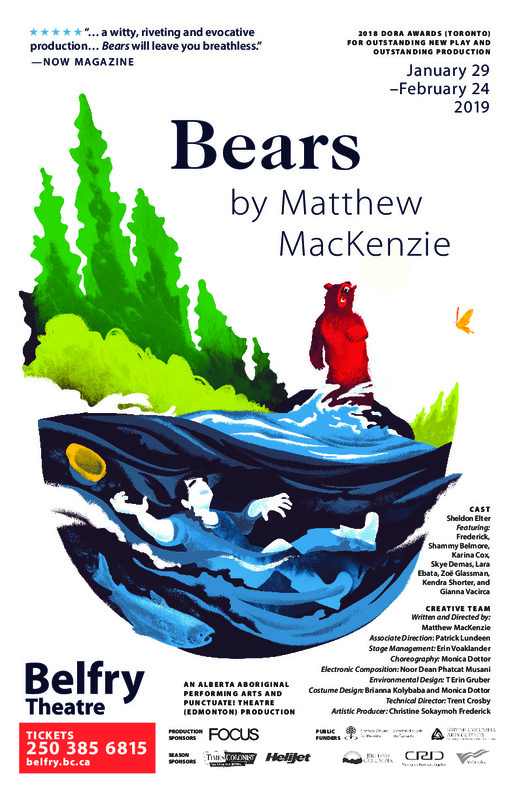 Bears won the 2018 Dora Awards (Toronto) for Outstanding New Play and Outstanding Production.